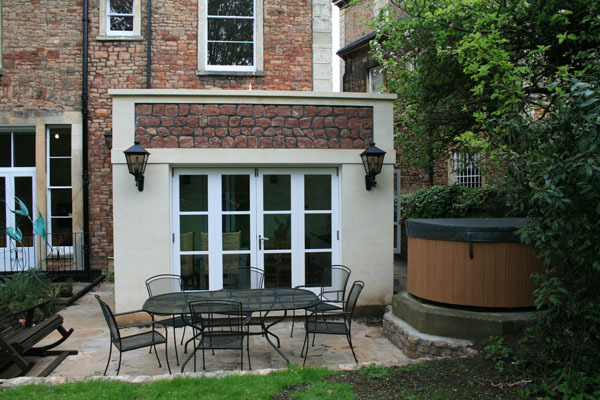 Victorian house extension ideas-House extension UK - how to build a home extension. Help and advise for extending, remodelling, refurbishment and loft conversions. Many Victorian house plans conform to a general layout for their given type of property. The higher end Victorian houses incorporated features such as bay windows, ironwork terraces, stonework details for headers and cills, brickwork detailing for banding or quoining. Fortunately, most homeowners have respected these features and most are still retained. However, much of the Victorian housing stock has suffered from various home improvement fads or fashions or quick easy fixes relevant for each decade since. Such things are inappropriate replacement windows and doors (materials and design), exterior painting or rendering and the latest in demand item - to hard surface the small front gardens for off road car parking. Another recent design craze is to add a 'contemporary white or timber clad box' as the main extension with no design reference to enhance or respect the original design of the Victorian property. Many will argue that a 'contrasting style' of external design refrains from trying to poorly copy or 'chinzify' something which it is not. There are arguments for both approaches but I just wonder which design style will look more tatty and cheap after a period of time when the weathering effects have taken their toll. Much of these works are seen by many as nothing more than ill-informed urban vandalism by the current or previous occupiers. I would tend to agree but we have all fallen for something like this that we later look back on with regret - its human nature. Many Victorian home owners are also considering a lot of glazed areas for their extensions with the roof being a main target. The Building Regulations do allow a lot of glazing these days but only with a bit of skullduggery by 'smoke and mirrors' on the thermal proving calculations and the use of 'trade off' elements for extra upgrades within the main house (new high efficiency boiler for example). 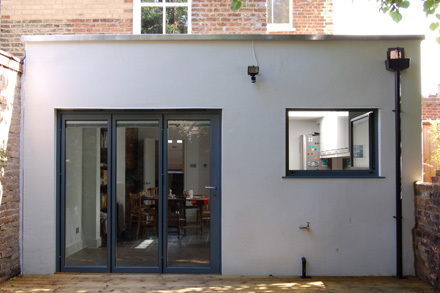 The ever growing use of bi-fold door sets for a large glazed wall opening is another trend that could be considered as an inappropriate style for a Victorian house when a couple of French doors sets with side lights in timber frames may have been more in keeping. Good design is a very debatable topic and there is something to be said for a modern design of Victorian home extension using high quality long life materials is in preference for a cheaply built token gesture copycat pastiche of a Victorian property using poor quality materials. Below....two syles of the same thing - you make up your own mind.